All week-long, the music from The Nutcracker has been playing in my head. After five performances last weekend, it is still with me! I wish that all of you could see how talented the people are who I dance with. Not only are they talented, but I love each of them like they are my sister. It’s an exceptional group of girls who all support one another and never compete with one another. What an amazing environment for growth, and I realize how blessed I am to be surrounded with this kind of support and love. And one more dance… Ribbon… ahhh yes, the dance that took every ounce of strength and breath I could gather up! 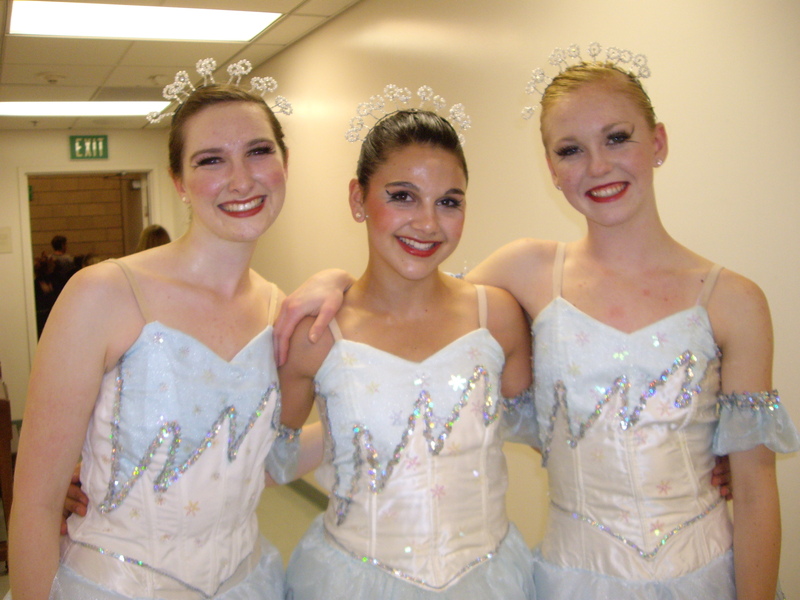 Bye-Bye Nutcracker 2010. It was great fun! Thanksgiving is my absolute favorite holiday! It makes me feel happy, warm, thankful, and full of wonderful goodness. As you already know, I don’t have to search far for a gagillion reasons to be thankful. My gratitude list begins at the very basics– breathing, walking– you get idea. I know, for sure, that this will never leave me. Having come so close to losing my life, I will forever be aware that we forget to be thankful. We just plain forget. One of the things I am most grateful for this Thanksgiving is also what I am most excited about. Nicholas and Dean will be home from college. I can’t wait to laugh with them, play Mario, sing “Under the Sea,” pick apples at the apple farm (gonna have to drag them here, but I know they’ll have fun,) walk out on the Avila Pier, go to the Avila Barn and play in the hay maze, take Larry on long walks, and explore the great outdoors in as many places as we possibly can! Are you licking your lips and dreaming of stuffing and turkey and pies?????????? Now that I have you in the Holiday Spirit, I will close with this video my mom took when I performed as a soldier at a community event promoting the Civic Ballet of San Luis Obispo’s Nutcracker. Thank you God for each and every one of my tremendous blessings. Help me to always be thankful and to always give from my heart.